Losing weight can be an uphill battle that lasts a lifetime for many people. 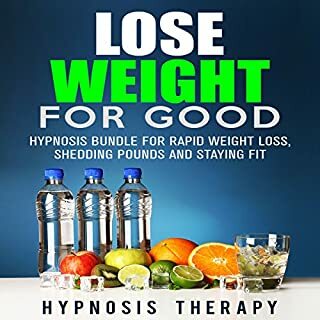 If you struggle with losing weight, you are among millions who are fighting the same stubborn fat, food temptations, and lack of motivation when minimal results fail to impress. But some have discovered that weight loss does not have to be a struggle. It can be a lifestyle change that inspires and motivates you toward better food and exercise choices. I'm enjoying this method for staying on track. Why is weight loss and getting fit a constant struggle? I know mindset matters and so does dedication, this program is helpful with both in my opinion. There are few things better than finding your flow when working on a challenging project or piece of work. How do we keep the flow going amidst pressure and fatigue? Is it possible to achieve this flow state more frequently instead of in small bursts? This program has been designed to transform your work life by helping you find and maintain your flow. J J Hills bringing the quality again. 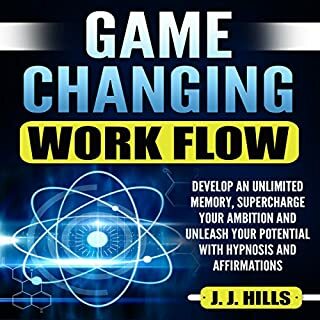 Loving this audiobook and find it very motivational. You’re working hard all hours of the day, not just on your business but in your home life. Women in today’s society are still expected to contribute a significant amount of time on housework while also moving up in the careers. 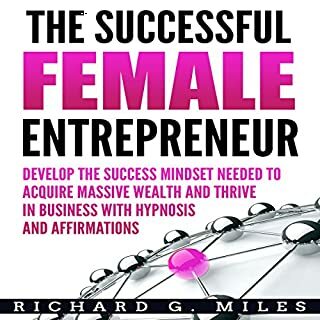 By shaping your thinking for abundance, you can learn to break free from these expectations and set a clear vision for what you want in your life and work. This program is designed to set you free and set you up for success. A coworker actually gifted this to me after I mentioned I was struggling with confidence about my side hustle. It was a pleasant surprise and even more pleasant to listen to. A welcome change of pace. Have you ever avoided putting together a budget or looking at your bank balance after going on a shopping spree? Thinking about money is scary because it’s tied to our stability in life. But our fears can do us more harm than good when they make us avoid making a true assessment of our financial well-being. This program is designed to eliminate your fears about your finances and help you regain control of your situation. 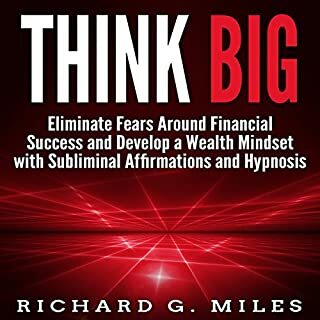 Eliminating fears around thinking bigger is such an issue for people who aren't from rich families or don't feel it comes naturally to them. But really, how many lives you are expecting to live? It's just one as far as we know, so why not just go for something big. A big goal. Who are you really? In this day and age, it can be easy to get caught up in how our lives are meant to look and the flawless images of ourselves that we are meant to portray. Consequently, we can lose sight of our real selves or love ourselves less for being flawed and human. This can have a negative effect on our confidence levels. But it doesn’t mean we can’t take a step back and learn to cultivate self-appreciation. 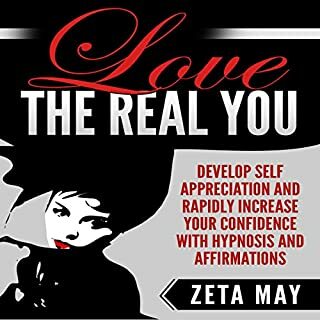 This program is designed to help you give up the idea of perfection and courageously accept yourself. Very lovely audio book and a great message behind it. Love yourself and your life will be much better. Don't forget about YOU. Unchecked stress has a way of transforming itself into anxiety, worry, and even depression. Daily responsibilities, work duties, and relationships can take their toll on you if your downtime is minimal. This is why stress relief is so important - it's like a reset button for your mind and body. 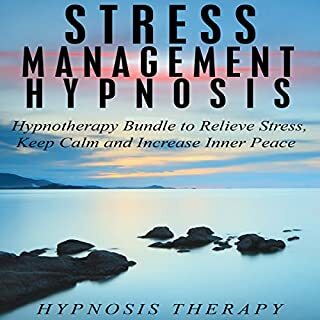 This hypnosis bundle is intended to provide you with that reset button - a way to unwind and instantly feel more relaxed and at peace. I really like this audiobook. Evening time is a great time to listen, unless you work the night shift or something. Very calming. We all have our reasons to not push ourselves, but more often than not, our reasons are simply excuses, conjured out of fear or laziness. 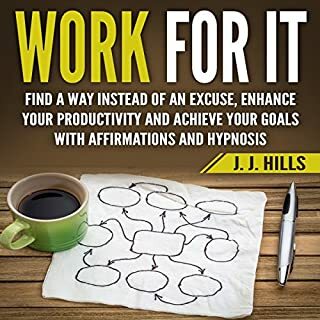 How do we keep those excuses from getting in the way of what we really want? By refusing instant gratification or relief and working persistently. This program has been designed to give you the persistence to keep going, when every part of you is desperate for an excuse to quit. There'a a chain reaction that happens when you start thinking differently, when you start taking accountability. It's a very good chain reaction. Being successful in business and in life is rarely an accident. People who win tend to have similar qualities and mindsets. A winner’s mentality includes an affinity for the positive and a resilience against setbacks. Do you have these qualities yet? 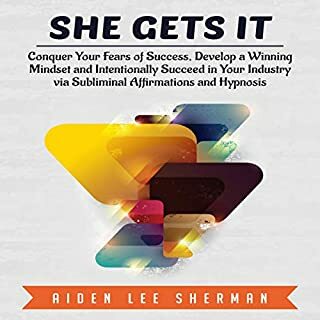 These affirmations are designed to help ingrain a winner’s mentality into your thought process so that you can win in business and in life naturally. You feel rushed and tired and unable to find a moment alone to yourself. When you do find it, you find it difficult to let go and relax. But with the right guidance, you can train your body and mind to experience new levels of calm and restoration. 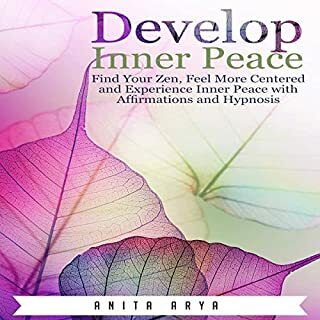 This program has been designed to help you find inner peace within yourself so you can learn to relax and enjoy life. Calming audiobook and high quality. Great narration and nice music here that gets you relaxed quite fast. When was the last time you felt truly grateful for what you have in life? Too often, we take for granted the people and possessions we’re surrounded by. When we embrace gratitude, we begin to embrace the possibilities of life itself. 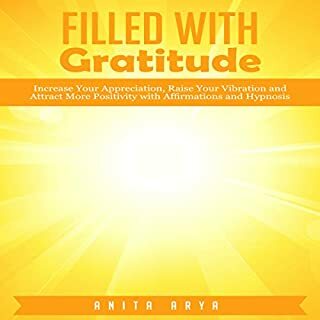 This program has been designed to fill you up with gratitude so you can live a happier, more content life. Not the most positive person in the world so I could always use a little more sunshine in my life. It doesn't irritate me because I know I should be thinking like this too. It's just that life gets hard, you know? But I'm trying. I don't want to be a negative person even if it happens to be a little bit of a default. Let's change that!! !